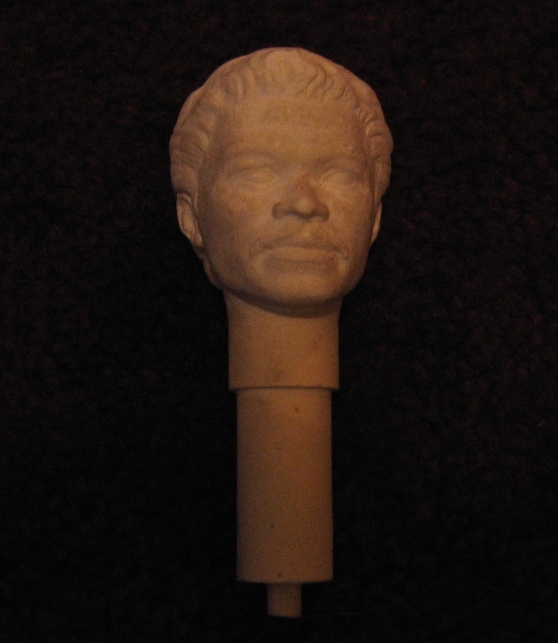 This is a plaster sculpt of the head for the Lando Carlissian large size action figure. 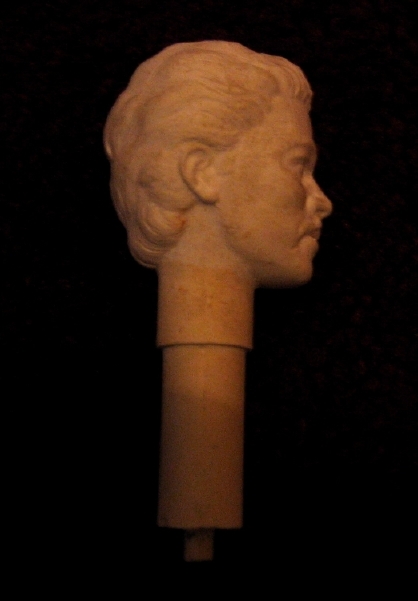 This head is a perfect likeness of Billy Dee Williams and was planned for Kenner's large size action figure line, however only prototypes of the Lando Calrissian doll exist today as Kenner cancelled the large size figure line due around the time of the release of The Empire Strikes Back due to cannibalization from the popular small size action figures. 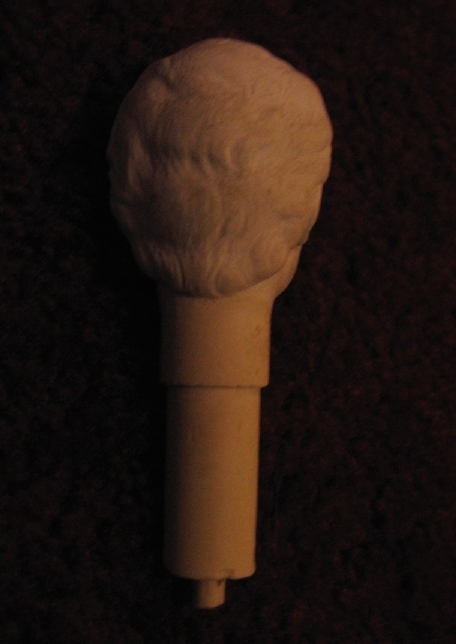 Although most Kenner toys were sculpted out of wax or acetate plastic, the is a rare example of a plaster sculpt. It's done in a slightly larger scale than the action size toy due to accounting for shrinkage in the molding process.